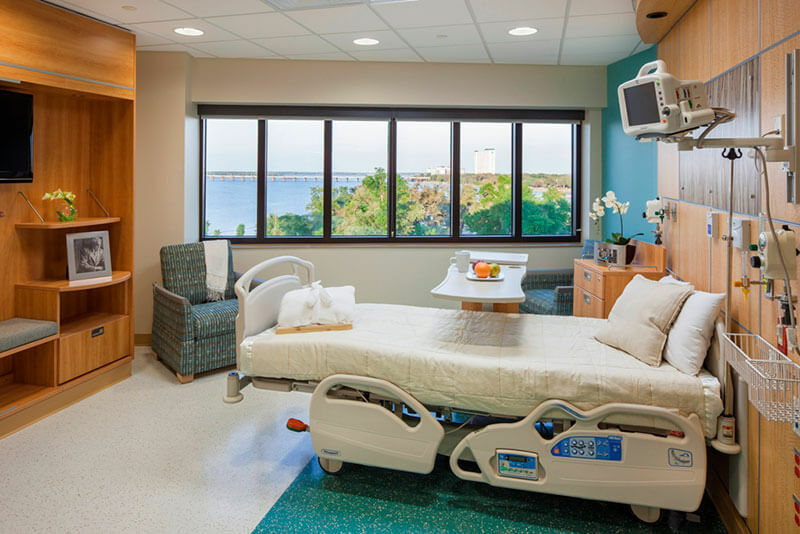 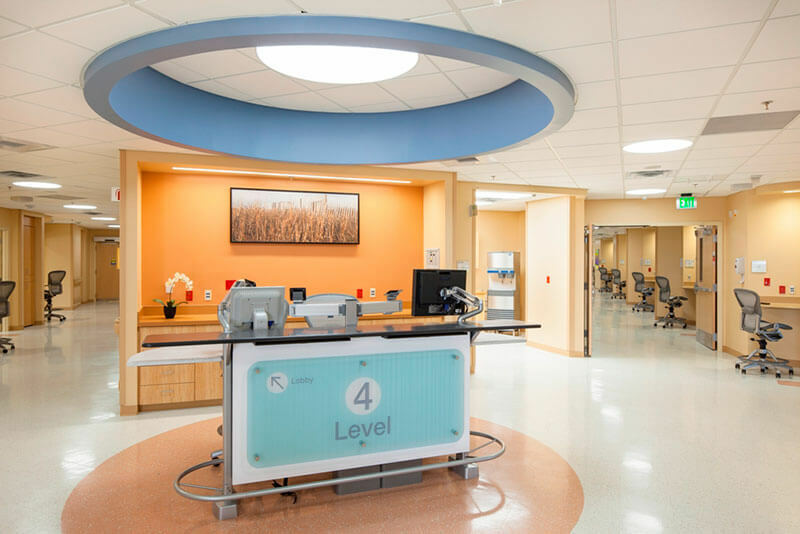 The 4-story tower addition provides 48 inpatient rooms on 2 floors, above a 16-room critical care unit, a surgical department expansion with recovery, physical therapy treatment, and a new 18-bed emergency department. 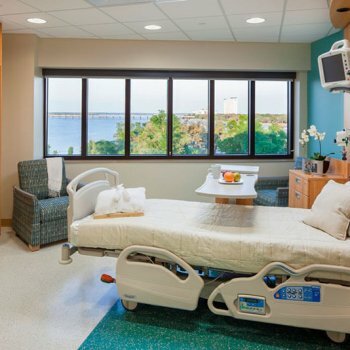 Incorporating the latest evidence-based design research, the tower features same-handed private rooms with additional family spaces, improved caregiver stations for enhanced patient visibility and staff collaboration, integrated patient lifts to reduce falls and prevent staff injuries, and natural views and light to promote healing. 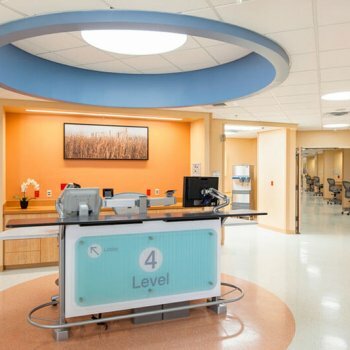 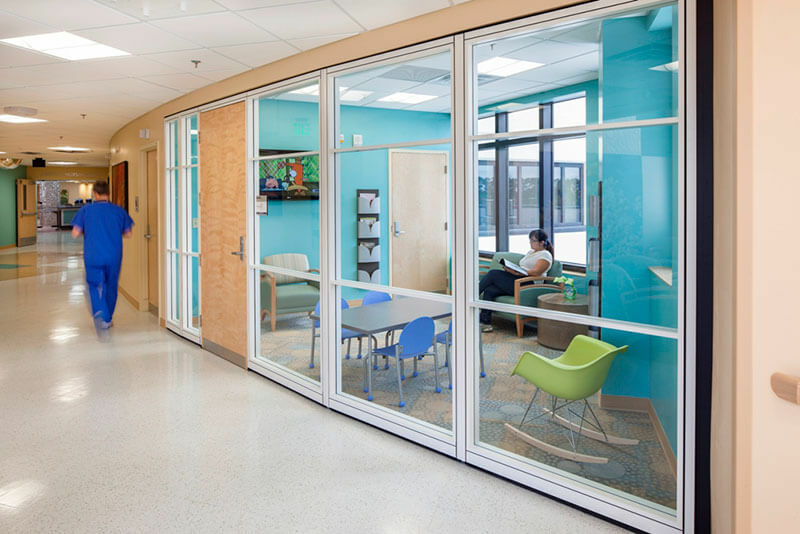 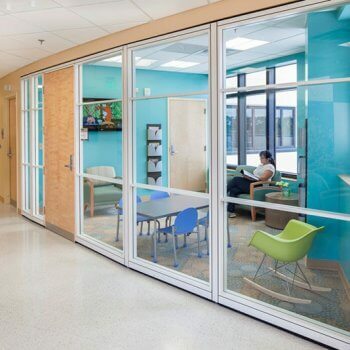 This facility has achieved the highest patient satisfaction scores within the 650 facilities of the military healthcare system since its opening.